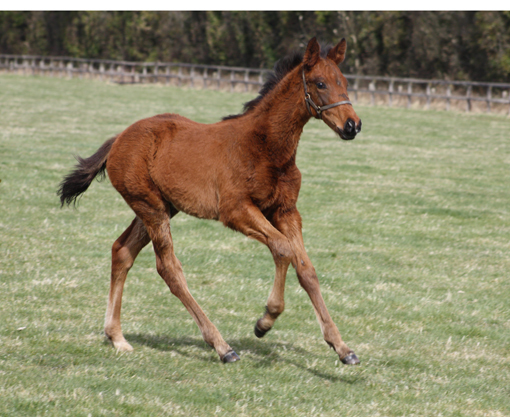 Bluebell is the first filly out of Sogno Verde and it is hugely exciting to have her back in our broodmare band. 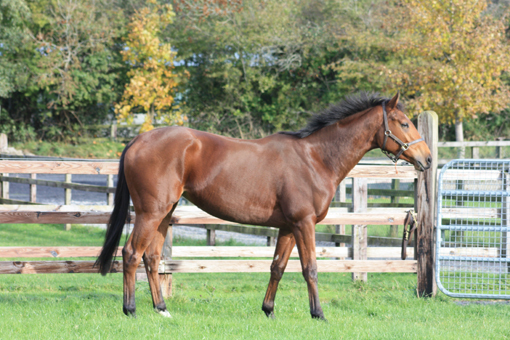 She won a maiden at two and was placed 2nd twice and third once. She missed out narrowly on black type when beaten a short head into fourth in a Listed Race at Tipperary. Her probably best effort came when fifth in a Group 3 race at the Curragh against the colts over 6 f which was definately too short a trip for her. She was a thoroughly genuine filly and finished her only season to race with an Official Rating of 90. 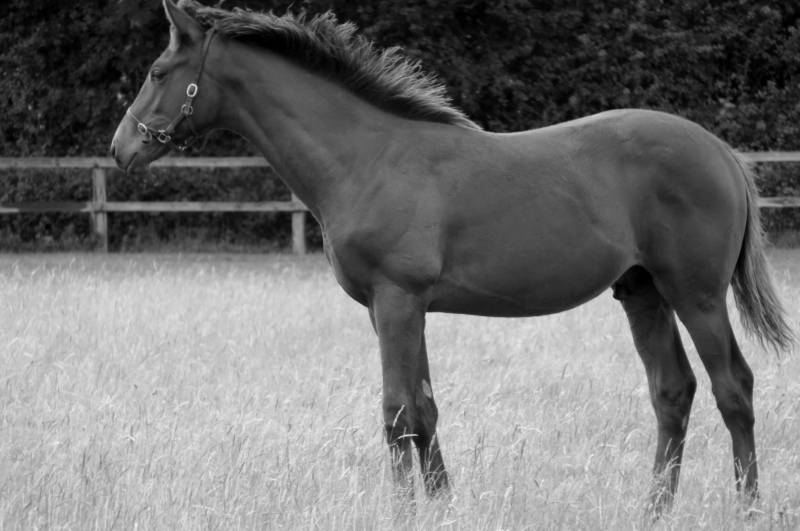 Bluebell has yearling colt by Dark Angel and is in foal to Kitten's Joy in 2016. 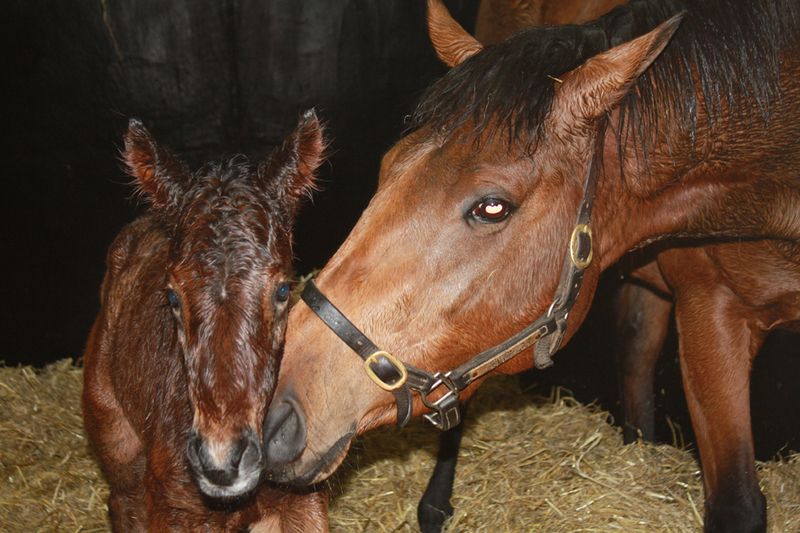 Bluebell is a great first-time mother and loves her colt by Dark Angel.